Long term dental care and preventative dental care is the best course of action to maintain the optimum health of both your teeth and gums for the rest of your life. Just as a car needs to be regularly serviced to prevent small problems developing into large problems, your teeth and gums need the same regular assessment and treatment. Here at dhealth Dentistry in Camberwell, we recommend that everyone visit the dentist at least once every six months. However, depending on your individual needs, you may need to visit the dentist more regular (perhaps every three or four months) or less regular (once a year). It is always best to seek advice from a professional dentist on your individual dental health care needs. Once you have visited the dentist, and received treatment for any dental issues that you might have, Dr Anna will be able to determine a suitable recall period for you, be it every six or 12 months. Regular maintenance appointments should thereafter always include a thorough check-up and a clean and scale, whilst dealing with any small problems that arise along the way. During a regular check-up, your teeth will be checked for decay by a number of means, including a visual and tactile examination, and even a radiographic [x-ray] examination if required. This will help reveal signs of wear and tear, often caused by bruxism and other problems. 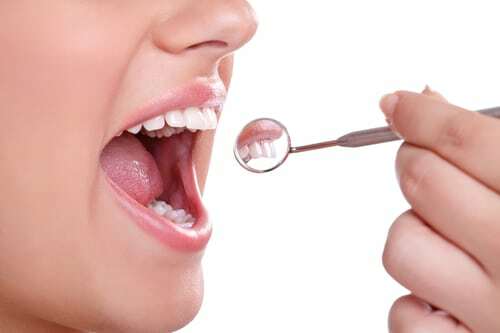 Dr Anna will also check the soft tissue in your mouth to ensure that there are no oral infections, pathology or oral cancers developing in your mouth. The health of your gums will be assessed and a scale and clean performed to remove hard plaque deposits that are a main cause of gum disease. Appropriate advice, education and preventive care can be delivered along the way. Why Is It Important to Have Long Term Dental Care? Long-term dental care and preventative dental care enable small problems to be identified early. Generally speaking, this makes treatment less intense and much less expensive. For instance, a small hole fixed with a small filling is better long-term (financially, psychologically and for tooth longevity) than a large hole that may need root canal treatment and a crown or even in worst-case scenarios, extraction. Life inevitably changes, and these changes can affect your oral health. These include health problems being diagnosed such as diabetes (which increases the risk of gum disease), smoking, medications that can cause dry mouth (which also increases the risk of decay), starting an intense exercise regimen and drinking sports drinks (which increases the risk of decay). With a long-term dental care plan in place, any changes to your lifestyle and health can be identified and appropriate oral health care devised to help manage the effects of these changes.